What Time Should Photography Start? Home » Featured » What Time Should Photography Start? I just love this shot…. Planning a wedding as you probably have figured out already can be pretty complex. So many decisions to make on so many subject matters. One of those many decisions is what time should the Photographer start. Well below I have created a nifty flowchart that will very easily give you a pretty good idea of how many hours before the ceremony that should be. Once a starting time is determined everything else starts falling into place. But to figure out the ideal starting time, there are a few things that need to be sorted out first and that’s exactly what the flowchart below does. 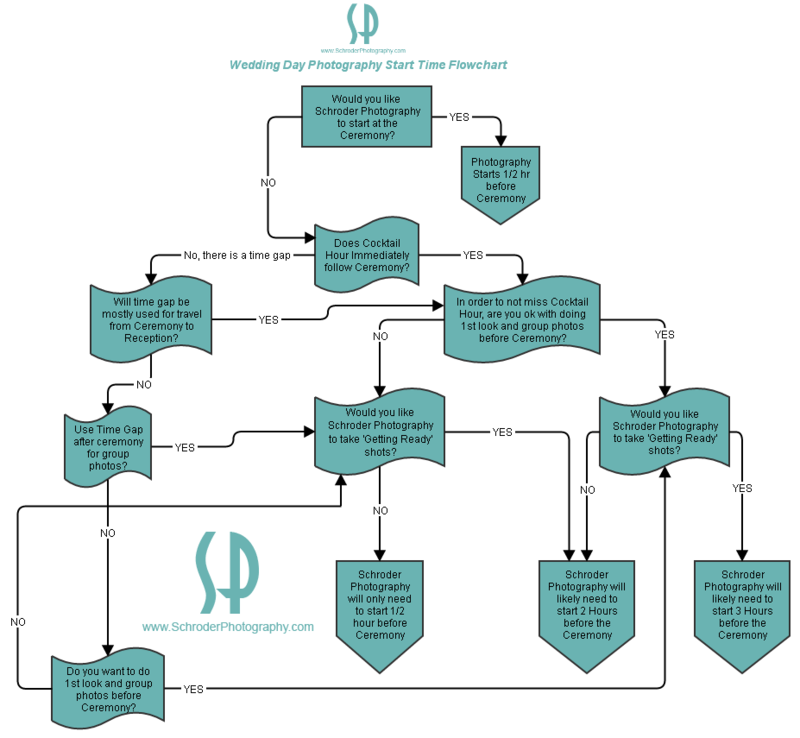 Every wedding is different than another but in general this flowchart should give you a pretty solid idea of how early you will need photography to start (at least with Schroder Photography, other photographers may have different time frames). So if you were in doubt about how early photography should start, well you’re only seconds away from figuring that out. Check out the flowchart and feel free to share with other couples that are planning their wedding day. If you have any questions about this topic or the flowchart feel free to email or call me. 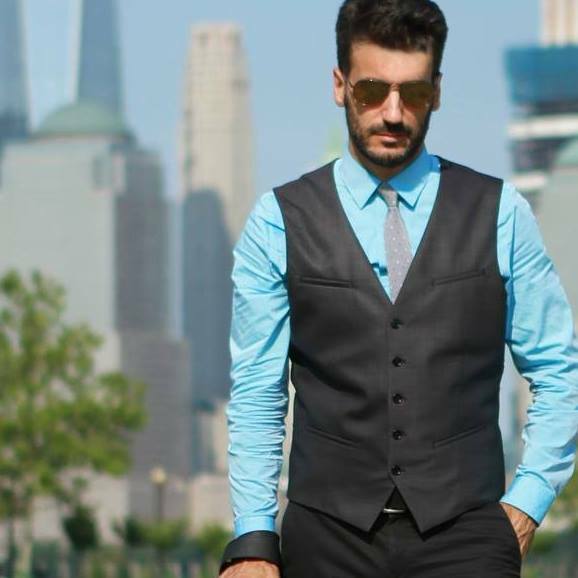 Additionally, you can Click here to check my availability on your wedding date. Happy Planning! PS: Don’t forget to check out my post about the benefits of doing an engagement session and another post on doing a First Look or not. 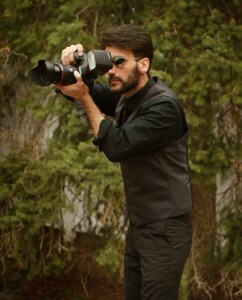 About the Author: About the Photographer: Louis Schroder has photographed over 500 weddings in the Tri-State area and is available for family portraits, events and other photographic projects. Please email or call me for inquiries.